If you’re about to start out in astronomy, you might want to invest in a pair of binoculars. They aren’t just for sports games – they are very useful for looking up at the night sky. They are light, convenient and very easy to use. You don’t need to invest in a high-powered and expensive telescope right away if you’ve got a pair of binoculars in your house. Binoculars are made up of three things – the front lenses, the rear lenses and the internal prisms. 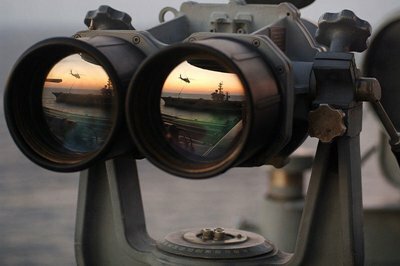 You may notice when you’re looking at binoculars that they have a number written on them. The numbers indicate the magnification and the aperture. It is important to know these two things before you purchase a pair. The magnification is how large an object would seem. If the binoculars say 4 x 50, it means that you will be able to see the object four times larger with an aperture rating of 50. Aperture is the amount of light that can enter the binoculars. The larger the aperture is, the more light that can enter. However, it can also make your pair heavier. Smaller pair start at $25, but mid-range and larger binoculars can cost anywhere from to $75 and up. Consider what pair can work for your budget before purchasing. After that, you’ll enjoy the night sky!